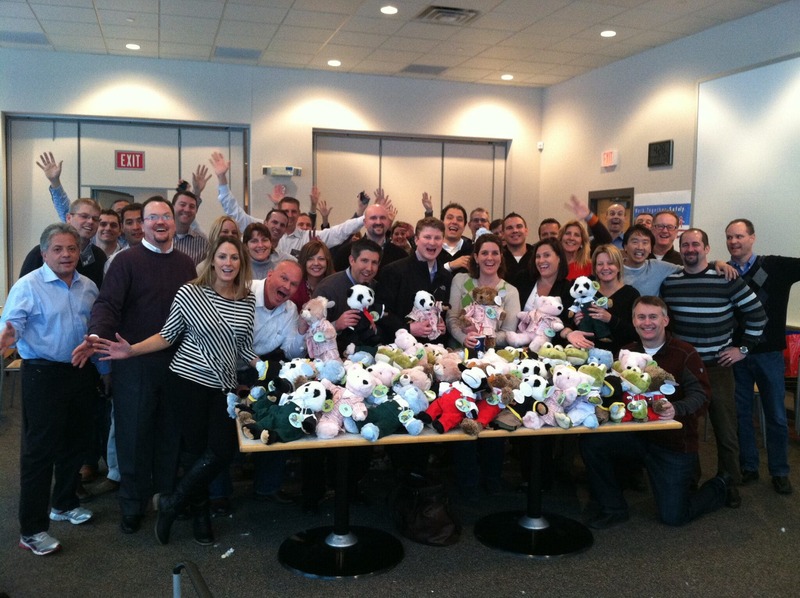 GE Capital recently included a Rescue Bear philanthropic team building event in their conference for several of their sales teams near Milwaukee, Wisconsin. GE Capital is the financial services division of GE, and provides commercial lending and leasing, as well as a range of financial services for health care, media, communications, entertainment, consumers, real estate, and aviation. This group gathered wanted to have some fun together and give back to the community, while also getting to know each other better and improve their camaraderie. Rescue Bear is a workshop that is designed to help people see the importance of matching a person with the right talent for the right role within the company. 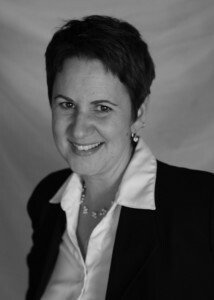 It helps participants identify the strengths of themselves and others and rely on those strengths when under pressure. It shows how/why “Silos” are created and how to deal with the “Silo” effect more effectively. The sales teams had a great time poking fun at various personality styles that emerged during the program, and drawing on each group’s strengths to solve various riddles and challenges. As each group acquired different materials needed to build the stuffed animals, the trading began so that the task could be completed. At the end of the workshop, the 75 stuffed animals that were put together and dressed in adorable outfits are donated to a local organization that helps kids. 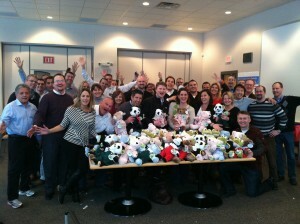 GE Capital added their own touch by providing little undershirts for every stuffed animal. In this case, the donation was given to the Brookfield Village Police Department. The two officers that came at the end of the event explained that a few bears will be kept in every squad car for those difficult moments when a child needs to be comforted on what could be one of the worst days of their life. It was a powerful ending to a great program.